Hello everyone. Wow, it feels super weird to be typing on this blog again. I've literally not logged on for 2 whole weeks. If you've read the posts I've had scheduled you'll of seen that I have been away - I went on holiday to Turkey. We were originally suppose to go to Tunisia but due to recent events decided to rebook else where and then all flights were cancelled until late October anyways. I've really missed having the interaction with you all, reading and commenting on others blog posts, but the break away was welcome (that and the fact wifi was awful). I'm glad to be back and thought I'd get into the swing of things by telling you about my holiday and sharing with you lots of photo's. 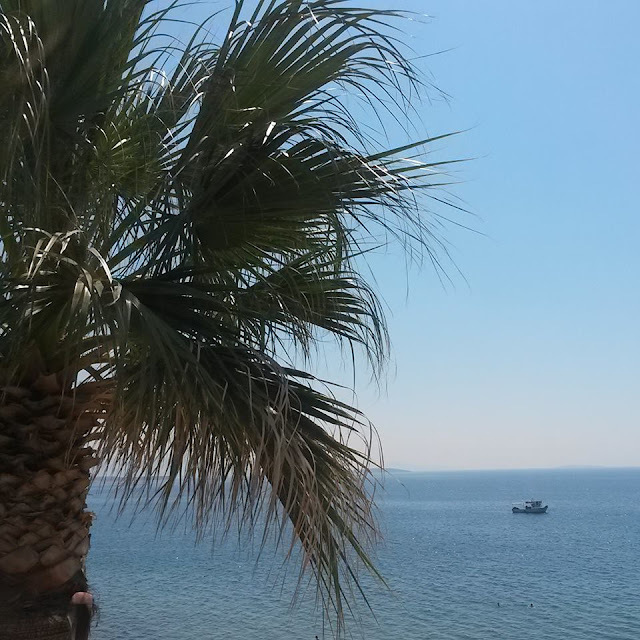 For the last few times I've visited Turkey I've always stayed around the Marmaris area, this time, however, we didn't have much of a choice in regards to our holiday destination. It was a mere 2 weeks until we were due to fly to Tunisia and options were limited; that and the fact we needed to find something around our current price mark and we still had to pay an extra £500 between us. We stayed at a reasonably sized hotel called Esra which is based in Altinkum. Altinkum is a decent sized town, but around our hotel area there wasn't much going on and despite being able to book trips out through our Holiday rep it seemed most cost an arm and a leg and they were 7 of us altogether. Our holiday was mainly spent eating, soaking up the sun, visiting the beach, swimming and doing the odd bit of shopping. It was a far cry from my trip to New York back in April, but I enjoyed being able to relax and enjoy the sun whilst the temperature hit almost 40 degree's most days. 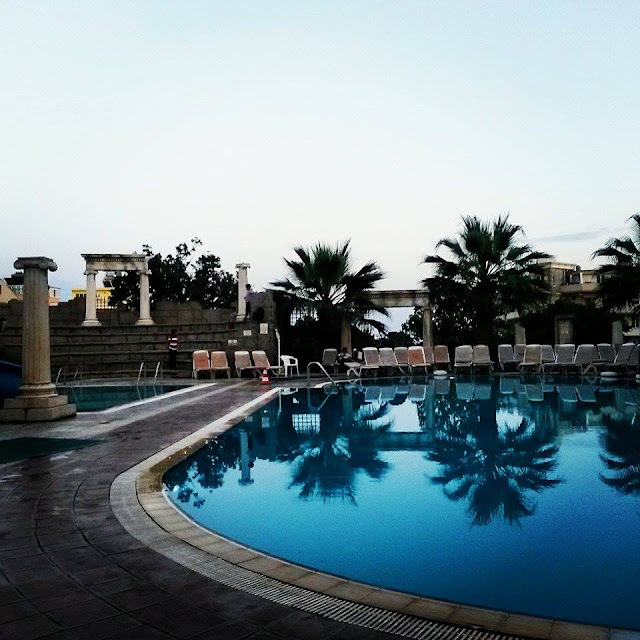 Hotel Esra is quite the basic hotel, it's good enough for relaxing near the pool and eating/drinking way to much. We stayed all inclusive and despite there being a great mix of food, it got to the point where it was very repetitive and quite boring. By the second week I was fed up of eating but continued to do so and probably gained about half a stone in the process due to the lack of activity. Night time entertainment was bog standard, watching kids do some dancing, almost every night, and nothing much afterwards - though they did some walking on glass one night, fire eating and what not, which I missed due to opting to go back to the room and not having to hear gangnam style one more time!! The staff were friendly enough and everything was on point in regards to cleanliness throughout the hotel, and I personally (along with my Mum) enjoyed being waiter-ed over by a Taylor Launter look alike (aka Jacob Black from Twilight - I always preferred Jacob over Edward). The hotel it's self could do with some TLC and being modernised throughout, and don't get me started on the Wifi. Saying that I had a really good time. It was a great holiday, and I always believe you should make the most of what you've got. It did feel like the longest holiday ever, but I loved it. I wouldn't go back to this particular area because I prefer to be around places that are slightly more lively and they weren't much in regards to touristy attractions. Altinkum is full of picturesque sea views and mountains. It really is a glorious place, perfect for those sun worshipers looking for nothing more than sun, sea and sand. Altinkum comes alive at night and this theme park is perfect for the children, and adults. A dip in the Turkish sea will have you floating - it's so salty. The sea's are just so blue. How inviting does it look? Further down the coast (a short walk) is the more sandier of beaches. 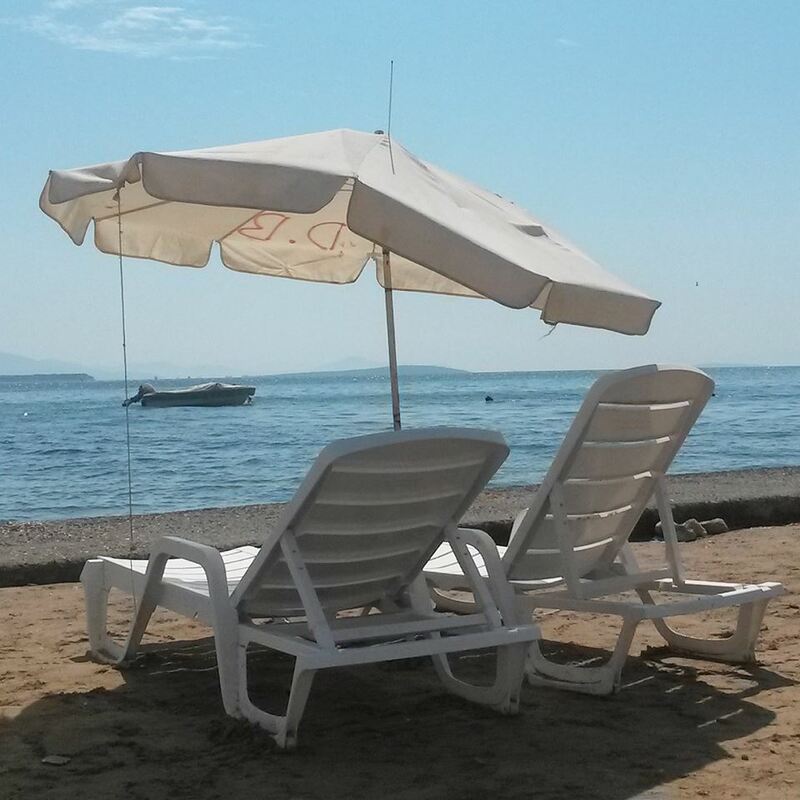 Sun lounges are available to rent for around 5tl each. Boat trips are huge in Turkey and there's many to pick and choose from. We bought our trip through the Thomas Cook holiday rep and it costs £20pp (Children are free and lunch is included). The trip it's self is around 5 hours long and this one was the Sun Worshipers trip (how ap). This happened to be the day I caught the most sun in the whole two weeks I were there and have some gorgeous tan lines because of it. It was an amazing boat trip with fabulous views, and the food was great too. They also have this activity course based in the sea. 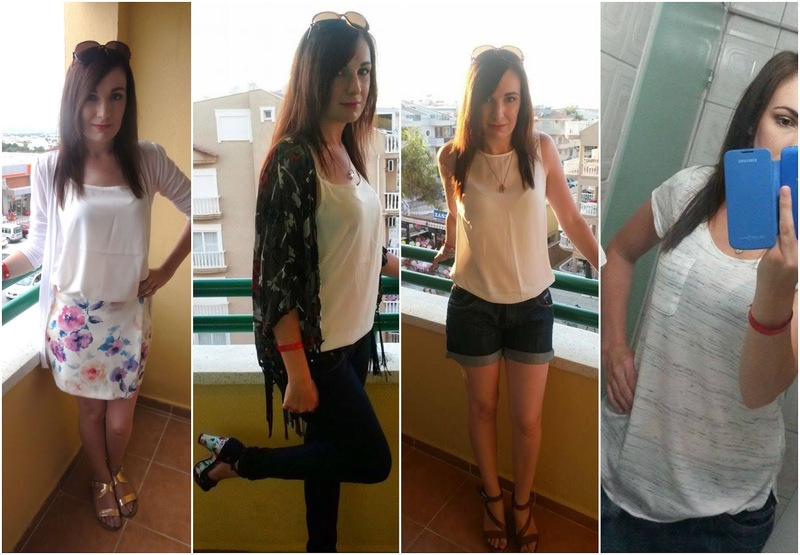 There you have it, a little peak into my holiday along with some of what I wore. I truly did have a good time. 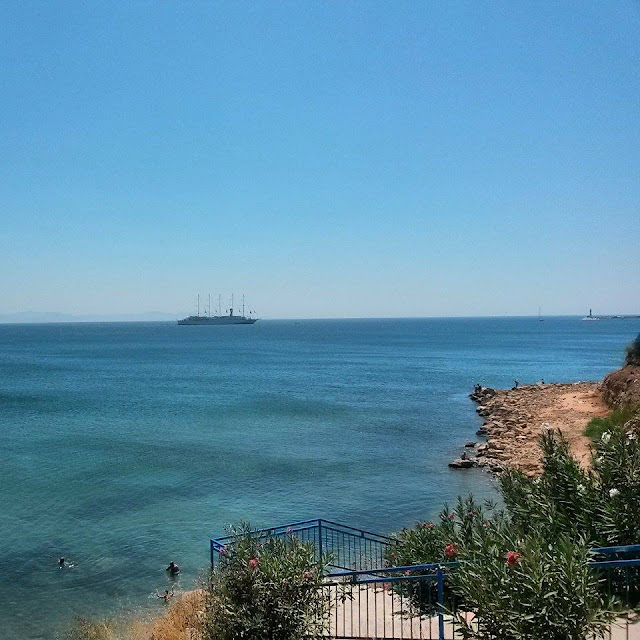 Altinkum is perfect for the lazy, relaxing holiday and I highly recommend it for those in search of just that. Our flight on the way home was delayed by just short of 3 hours and we didn't arrive back to our house until 6.30am. All photography is owned and taken by me, minus the outfit shots. What a beautiful place, the water looks amazing!! <3 And I seriously love the bed haha it's adorable.